West Wales is without a doubt one of my favourite places to visit. With beaches, parks, castles and museums all pretty much on your doorstep, there’s nothing not to like for a relaxing break. 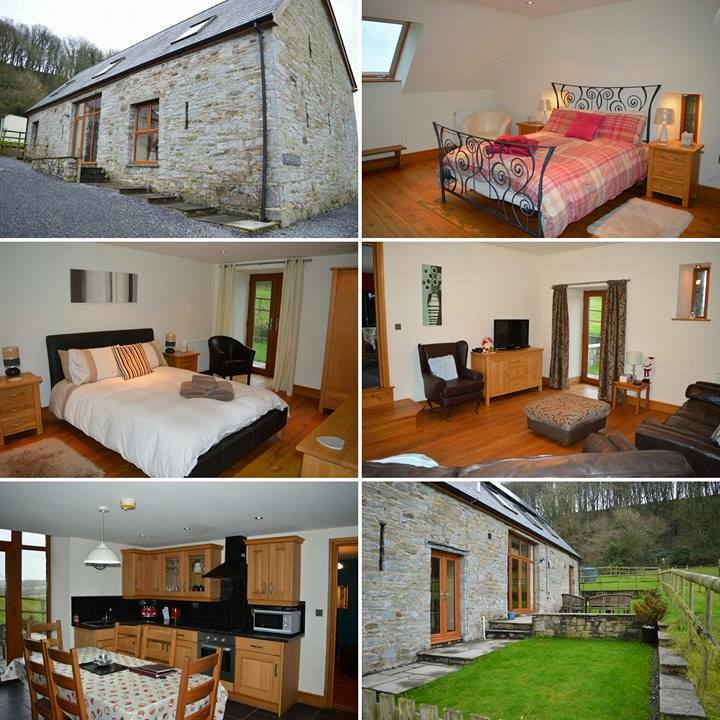 Only around an accessible hour away from Cardiff, and in the rural countryside of Kidwelly, situates Cwrt Y Cadno. It’s an ancient barn dating back to the 16th century that offers all the charismatic serenity that West Wales has to offer. The barn has now been fully restored and has a total of four bedrooms, 3 doubles and one twin that sleep 8 people with three bathrooms. All of which are spacious, modern and luxurious. The very lovely owners live in a house opposite the barn, and came to welcome us to the property with assurance to contact them if we need anything. With Spring on its way, you could sit outside in the more than ample patio area with garden furniture, a large barbeque and views onto open fields. There are two horses living in the fields that aren’t shy and may pop over to say hello. Bed linen, towels, electric, central heating and Wi-Fi are all included. In the living room, the cupboards are full of board games, DVDs and books to keep you entertained during your stay. Can’t leave the dogs? You are more than welcome to invite two dogs by arrangement with the owners. As you can see from the pictures of Cwrt Y Cadno, it’s a wonderful, modern, spacious place to stay that can offer you a time of relaxation or family fun in equal measure. I would like to thank the owners for having us on our wonderful weekend away.